Please contact Ground Penetrating Radar Systems (GPRS) to learn how we can assist with your project. To locate rebar, post tension cables, conduits, pipes or utilities in concrete please contact us today. GPRS works in San Francisco, San Jose, Sacramento, Fresno, and all surrounding cities. 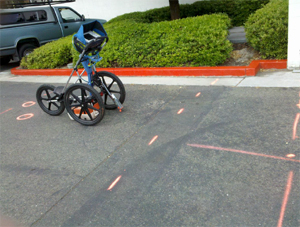 Please contact Jason Wachter at (408) 201-4110 or jason.wachter@gprsinc.com to learn more about ground penetrating radar and how GPRS, LLC. can assist in your projects.